Ideas for an unmentioned modern landscape. Pruitt Igoe Now sought the ideas of the creative community worldwide: we invited individuals and teams of professional, academic, and student architects, landscape architects, designers, writers and artists of every discipline to re-imagine the 57 acres on which St. Louis' Pruitt Igoe housing project was once located. 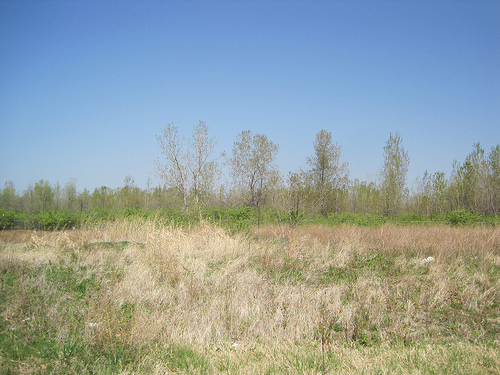 The online home of Pruitt Igoe Now has relaunched. Far more than just a fresh look for the competition's content repository, the new site provides easily zoomable images for each entry and a news section to provide updates for the project and the traveling exhibition of entries. At 3:00 pm on March 16, 1972, the St. Louis Housing Authority demolished the first of thirty-three high rises of the Pruitt Igoe housing project through detonation. One month later, the agency demolished a second tower. These highly-publicized and well-documented events were not supposed to usher the end of the notorious housing project, but to foster its rebirth. Instead these incidents would become trauma that has never been resolved for St. Louis, or for the nation. Rebirth has never arrived. The spectacle of the detonations created momentum toward the accelerated death of Pruitt-Igoe, and led to public sentiment against high-rise housing and even modernist architecture. For decades, architects and historians have mythologized Pruitt Igoe's failure as the "death of modernism," and have placed the blame on the architects, Helmuth, Yamasaki and Leinweber, for problems that are now known to be the result of complex political and economic circumstances. Minoru Yamasaki himself expressed his belief that the project was a failure, and made no mention of it in his autobiography. The architect's own last word on Pruitt Igoe, like the site itself, is a void. View looking north across the site from near the Gateway Schools complex. After more demolitions by sensational detonation on July 15th, 1972, the Department of Housing and Urban Development and the St. Louis Housing Authority decided to demolish all of the remaining buildings. By 1977, the last block was demolished and the site cleared. Residents never returned to what had become their neighborhood, and the 57-acre site would sit dormant until 1989, when the St. Louis Public Schools developed 14 acres for a public school site, The rest of the site has lain fallow, an urban forest grown dense with native species, its boundaries delineated by a tall chain link and barbed wire fence meant to discourage a curious public (they find their way into the site anyway, with increased conviction since the release of the documentary The Pruitt-Igoe Myth). March 2012 marked the 40th anniversary of the demolition of the first of the Pruitt Igoe high-rises. This call sought design ideas that re-invigorate the abandoned site. In the spirit of that original St. Louis architectural competition—to which the Eero Saarinen-designed Gateway Arch stands as witness—this competition imagined the site of Pruitt Igoe as a frontier: the threshold between North St. Louis, which is showing signs of stabilization after decades of decline, and the new design for the Jefferson National Expansion Memorial by Michael Van Valkenburgh Associates.